Gozzo by Apreamare unanimously won the prize in the motor category between 25 and 35 feet during the exclusive Flagship Night which took place on Saturday 20 January at the Congress Center in Dusseldorf, at the end of the first day of the biggest indoor boat show in the world, BOOT 2018, and in the presence of the whole of the nautical world. The new Gozzo has won for masterfully reinterpreting the ultra-centenarian tradition of the Sorrento gozzo, enriching it with innovation, performance, comfort and technology while maintaining the charm of the original lines even if revisited in an absolutely contemporary key. Gozzo is the result of a vision of Cataldo Aprea, developed by the designer Brunello Acampora of Victory Design and made by Imbarcazioni d'Italia - a company belonging to Cose Belle d'Italia group. On January 20, 2018, at the 2018 Düsseldorf International Boat Show, Azimut S7 was named the overall winner of the prestigious “European Power Boat of the Year 2018” (EPY) award in the “over 45 feet” category. One of the undisputed assets of the model, which was unveiled last September at the Cannes Boat Show, is its highly innovative layout. The exteriors, designed by Stefano Righini, embellish the characteristic lines of the brand’s collection with diamond-shaped deckhouse windows, in a solution that gives the boat character and promises to amaze with its plays of reflected light. The S7 is the only yacht in its segment with four spacious cabins, a beach platform expander and a garage for both tender and jet ski. Available in both coupé and sportfly versions, it surprises with its sumptuous materials and the unusual interior design by Francesco Guida. The EPY 2018 award, which has the same renown in the boat world as an Oscar, represents a huge success for the Italian brand and an acknowledgement by top critics of both the company’s design skills and the quality of its models. The boats to receive EPY awards, assigned each year by a panel of top international experts from Europe’s leading industry publications, are the most significant and not only in terms of innovation: to receive this prestigious recognition, the yachts are submitted to rigorous testing and assessments based on their design, onboard safety, performance, handling, quality/price ratio and many other factors. Azimut S7 has been designed and built to the highest standards in the sector and is covered by the HTS High Technical Standard declaration issued by the shipyard. The yacht is also eligible for CE A and NMMA certification for boats under 24 meters. Tecnorib, official licensee of the Pirelli brand for RIBs, has signed an agreement with Azimut Yachts to supply Pirelli jet tenders on an exclusive basis and extends its fleet with an elegant new model, the Pirelli J33 - Azimut Special Edition. The first in the range to be fitted with a water jet engine, this is a special version dedicated to Azimut Yachts, the world’s leading yacht builder. Pirelli J33 Azimut Special Edition is the first in a series of Pirelli boats that Tecnorib will produce for Azimut Yachts and the tender that will serve the happy owners of many Azimut models. “The agreement with Azimut Yachts, the world’s leading motoryacht builder, is a source of pride for Tecnorib,” explains Gianni De Bonis, Tecnorib Managing Director. Pirelli J33 - Azimut Special Edition is a symbol of Italian excellence in the motoryacht world. “The input from Azimut, aimed at satisfying its owners’ needs, has paved the way for Tecnorib engineers to develop the J33, a product that is closely aligned with market demand right from the base version,” said De Bonis. As well as marking Tecnorib’s official entry into the market for water jet powered inflatable boats, Pirelli J33 - Azimut Special Edition reprises the distinctive and iconic features of Azimut style and combines them with the characteristics that have always set the Ribs Pirelli-branded apart from the rest, with gelcoat, claddings and colour combinations that make it a natural extension of the yachts built by Azimut. “Pirelli J33 - Azimut Special Edition is a symbol of Azimut Yacht’s quality policy, with the focus once again on the customer. The high level of customisation and the ongoing search for cutting edge materials are an integral part of our DNA”, says Marco Valle, Azimut Yachts Managing Director. “We have chosen Pirelli because it is a storied ‘Made in Italy’ brand, recognised the world over for its glamour, reliability and safety”. Available on the market starting in Spring 2018, Pirelli J33 - Azimut Special Edition is being produced in two style variants: Burgundy Charm and Grey Elegance. The Special Edition boasts customised options including a removable steering wheel, a telescopic paddle, a fold-down windscreen, Azimut branded tubes and cushions, and an elegant dashboard bearing the unmistakable Azimut logo. Ferretti Yachts crosses the landmark finish line of fifty years in business, with its string of stunning yachts and successes, and signs a prestigious sponsorship agreement with a champion who has crossed many finish lines and will cross many more. The Forlì shipyard which has strong links with the city, where the Headquarters of the whole Ferretti Group are and will continue to be located, right next to one of the Ferretti Yachts production facilities, has decided to sponsor the motorcycle racer Andrea Dovizioso from Forlì, one of the stars of last year's championship season with 6 successes and an amazing 2nd place in the final standings. The Ferretti Yachts brand will feature on the sleeve of the motorcycle racer's suit during the 19 rounds of GP 2018, from its début in Qatar (18 March) through to the final race in Valencia (18 November). The sponsorship was announced during the Group's press conference at Boot Düsseldorf, Germany's leading boat show, where Ferretti Yachts is showcasing the Ferretti Yachts 920 in world première and the Ferretti Yachts 450. On the evening of the same day, a cocktail party by invitation hosted in the Group's stand launched the official opening of the 50th anniversary celebrations. It was a sparkling start to 2018 for Custom Line and Ferretti Yachts, with two prestigious recognitions that punctuate the position of the leading luxury yacht brand in Asia. The Custom Line 120’ and Ferretti Yachts 920 triumphed at the Christofle Yacht Style Awards, presented during the first edition of Phuket RendezVous, an event destined to become a point of reference for the Asian and international nautical markets. Created to celebrate the tenth anniversary of the distinguished international trade magazine YACHT STYLE, the awards are designed to showcase the best of the global yachting industry. The award ceremony took place on 4th January in the spectacular setting of the Phuket Boat Lagoon, where the Custom Line 120’ took home the prize for “Best International Motor Yacht New Release”. The new masterpiece of the planing series, it is the first model by the brand to bear the signature of Francesco Paszkowski Design. With its highly innovative lines, it will have its debut in the first months of 2018, becoming the icon of a new era for Custom Line. There was also victory for Ferretti Yachts 920, whose dynamic, irrepressible profile, along with major construction innovations, won over the jury of experts following the commercial success of this model at its world debut at the Boot in Düsseldorf from 20th to 28th January. The dual wins confirm both the reputation of Ferretti Yachts and Custom Line worldwide and the value of a distinctive design philosophy that is highly appreciated also by the Asian markets. When talking about luxury yachting, the first name that comes to mind is Ferretti Yachts, for 50 years in the heart of yacht owners worldwide thanks to its innovative, elegant yachts. To further confirm this supremacy, for the fifth consecutive year Ferretti Yachts received the award for “Best Luxury Yacht Brand in 2018”, assigned during the fourteenth edition of the Hurun Best of the Best Awards, held on 24 January in Shanghai in the prestigious setting of The Ritz-Carlton Pudong. 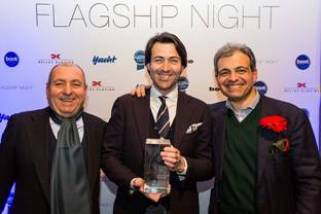 This important recognition confirms Ferretti Yachts as the leading luxury yachting brand in Asia. The award is the result of the Best of the Best Luxury Consumer Preference Survey, curated by the influential Chinese business and lifestyle magazine Hurun Report, which since 1999 has published its list of the wealthiest individuals in China. Conducted in 20 different cities involving 463 leading personalities, the survey is an essential point of reference for those who want to know the well-renowned brands, consumption habits, and lifestyle trends of the most selective and influential Chinese citizens. Ferretti Yachts, which this year celebrates its 50th anniversary, has been present in China for over twenty years. Precisely by virtue of this privileged relationship with the Asian market, it created the Tai He Ban version for all yachts in range, modulated according to the desires and tastes of yacht owners in the Far East. Aboard the yachts, this layout includes spaces designed especially for business meetings, official receptions, informal meetings, and entertainment occasions, combined with decor solutions in line with the most up-to-date interior design trends in Asia. The “Best Luxury Yacht Brand” award once again consecrates Ferretti Yachts as the top ambassador of Italian excellence in China, an extremely selective market that appreciates the most exclusive Made in Italy products. The Frauscher Shipyard has developed over the past 90 years from a traditional craft business to an international commercial enterprise that markets innovative and exquisitely designed motor and electric boats throughout the world. The figures from the past business year confirm that the fusion of traditional, high-quality boat craftsmanship with striking clear designs in premium quality is more convincing than ever to the demanding consumers of the boat market. The family-operated shipyard located on Lake Traunsee was able to increase its revenue from new boats by 35 percent and the number of boats built by 16 percent in 2016/2017. Frauscher is especially pleased with the equally strong increase in the sector for electric and motor boats. More than 30 electric boats – including the 610 San Remo and the 650 Alassio – left the shipyard in Ohlsdorf, Austria between August 2016 and August 2017. But the powerful premium motor yachts such as the 1017 GT or the 1414 DEMON were likewise in demand as never before. Stefan Frauscher, the third-generation general manager, is pleased with the successful year-end accounts and predicts continued growth for 2017/2018: “Together with a highly motivated team and strong partners we will continue to do everything possible to optimally meet the demands of our customers and to increase the number of Frauscher boats on the lakes and seas.” In the future Frauscher Shipyard will therefore offer its customers even more options for customisation. The new, ultra-modern paint shop, for example, makes it possible to implement virtually any colour preference with maximum precision. In addition, the shipyard will continue to develop new boat types and technologies. Just a few months after the world première of the Frauscher 858 Fantom Air day cruiser, it is therefore already clear that the year 2018 will not end without a new Frauscher innovation. Jarrett Bay hull 62, Jaruco has made the trip from Beaufort, NC through the Panama Canal and into the Pacific to hone their skills on the team's new 90' battlewagon in preparation for the famed Los Suenos Triple Crown tournament series in 2018. In 2018 Karnic Powerboats Ltd complete 25 years since their establishment, initially as a small marine workshop to serve the needs of the local market to become through the years a major international brand with presence around the world. As part of the 25th Anniversary Celebration, Karnic planned a series of events that will take place throughout 2018 and which will be announced in due time. All events are aimed to express the appreciation of the company for the continuing support and recognition to the brand all these years. The first 25th Anniversary Celebration event concerns the giveaway of a special edition Karnic Smart 1-48 ready-to-go with engine in a free draw competition. The competition will be open for public to register from January to April and the winner will be announced after a draw that will take place in May. The free boat package was presented at Boot Dusseldorf 2018 as well as other exhibitions in Europe during the competition period. Pacific Asian Enterprises, Inc. (PAE) is turning 40 and we are celebrating with a huge Anniversary Gala and Rendezvous this April. Few boat manufacturers reach four decades of continuous business and even less have maintained the same ownership team for the duration. We are proud to be able to commemorate this achievement with all of the owners, vendors, staff and friends who have supported us during these past four decades. The three-day anniversary party will include lavish dinners, dancing and entertainment, educational seminars, an Open House and Distance Pennant award ceremony. Those of us who have to travel a lot for their jobs are often the envy of others – especially if the trips involve faraway, warm, or interesting places. We know, though, it’s usually not all as great as it sounds: uncomfortable hotel rooms, eating on the fly, early morning meetings, late night schmoozing, and a general disruption of routine overshadow all possibility of it being as much pleasure as it is business. And for those of us in the boating industry, it’s worse. Complaints of having to work a boat show in Miami or help deliver a luxury yacht to Cabo San Lucas are met with zero sympathy. Palm trees and the Pacific Ocean might have a leg up on a tri-walled cubicle, but work is work is work. So when PAE President Dan Streech announced several weeks ago that he was taking time off to go on a fishing trip with an owner aboard a Nordhavn 68, it had the familiar ring of “sounds like a vacation, smells like work.” This no doubt would merely be a backdrop for a sales meeting, service call or excuse to discuss some business-related idea. In other words, no one expected many fish to be caught or for Dan to come back refreshed and re-energized. Granted, Peter Bisson is an unassuming owner who still works very hard at a job and there should be no assumptions that he would use his valuable time off to do anything but relax. Plus, with significant others staying at home, the opportunity for boys to be boys enjoying camaraderie, the great outdoors (from inside luxurious modern yacht, of course) and the absence of responsibility was there for the taking. Dan and son, Trevor, boarded a plane in Los Angeles bound for their guys’ getaway and met Peter, his son Steffen and the captain, James Lamport, at the Stock Island Marina in Key West where Fotini III gleamedfrom her slip. Mind you, this is not a new boat. This is a five-year-old boat with 15,000+ nm under her keel, that’s traveled extensively up and down the east coast of the U.S. and throughout the Caribbean. The cockpit is one that has seen scores of fish hooked and filleted. The saloon has entertained a constant rotation of family and friends. And hundreds of meals have been prepared in the busy galley. 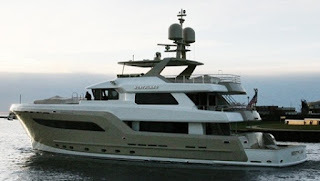 Still, Fotini III could be displayed at the Miami Boat Show next month and she’d pass for brand new. When you step onboard and into the roomy, light-filled, clean, comfortable, vastly-equipped, solidly-built masterpiece of floating fiberglass, an air of relaxation overcomes you, and you get the first hint of why people buy Nordhavns. From the second the boat shoved off, bound for Garden Key in the Dry Tortugas, Dan went into vacation mode. Actual vacation mode. The type of vacation mode that’s only possible on a boat when the people involved all like and respect each other. Like-minded Dan and Peter had long, insightful, often amusing conversations on all topics (not just politics and Nordhavns, but definitely some that) while the sons impressed with fishing skills and sense of adventure. Amazing lunches and dinners were had, thanks to fresh-caught fish, a hard-working grill, and no one to lecture that PB&J on white bread was lacking in proper nutrients and sophistication or that veggies and a salad were required to balance out a dinner. This was not the sort of extreme adventure cruise that one tends to associate with magazine articles about Nordhavns. Not a Nordhavn full of trailblazing explorers who were determined to test the mettle of Fotini III by taking long non-stop passages, braving sketchy waters and climes. No, this was the type of cruise people think about when imagining sailing off into the sunset. Warm, sunny days spent at anchor and day-hopping around the Keys. For Dan, a born-and-raised southern Californian, the cruising gems of Florida were not in his vernacular, so in a way, this was an adventure for him. Actually, it was in two ways. The word adventure is defined as an undertaking involving uncertainty and risk. Being off the grid for a week without internet, text, and email certainly held an element of uncertainty and risk for Dan. Instead, the void of communications technology was filled with activities that produce priceless memories: exploring Fort Jefferson in the Dry Tortugas, watching meteors shower at night and Frigate birds soar by day, enjoying the company of four giant Grouper who swum around the boat’s anchorage, and averaging a solid nine hours of sleep.Still, to say the boat wasn’t run hard would be inaccurate. The generator functioned 24/7, the wing engine toiled and thrusters screamed for long periods of time spent fighting fish, the icemaker cranked non-stop, and the air conditioning kept the boat a perfect 68 degrees the entire time. There are nearly 600 Nordhavns now in service and the majority of them are creating adventures and lifestyles and stories far more powerful and interesting than Dan’s 200 nm-roundtrip route through the Florida Keys. But for Dan to steal a few days from a busy schedule and get a small reminder of what is possible allows him to more clearly understand the mindset of the future Nordhavn buyer (and the current Nordhavn owner). More importantly, it re-affirms the importance of the job that has consumed most of his life: designing and building yachts that are the source of so much enjoyment for so many. And maybe, just maybe, in some instances the travel is as good as it sounds. Mangusta strengthens its presence in Europe by signing an agreement with Alfred Zurhausen's MPN Marine for the commercialisation and development of the brand in Germany. A strategic market, where the values of aesthetics, manufacturing skills and technical quality featured by Mangusta products are well appreciated. Driven since he was very young by passion for speed and water - he was only 13 when he would speed away on his father's motorboat - Alfred Zurhausen is a true expert of high performance vessels and MPN Marine has been operating on the market successfully for several years. Zurhausen will introduce to the German market a brand of great tradition and distinctiveness, which today boasts three different product lines: 3 different ways to experience the sea but offering the same technical innovation, the same manufacturing quality and the same philosophy that sees the vessel as the ideal way for an Owner to live a truly personal experience. The most traditional line is that of the Mangusta Maxi Opens, fast and sporty yachts, a niche in which the Group is a market leader. It represents the "Mediterranean yacht" par excellence which allows moving quickly from one place to another in full comfort (in terms of on-board space but also in terms of noise, stabilisation and vibrations). The Mangusta Oceano line comprises long-range vessels in metal. These are optimised for a range to rival those of explorer type vessels, up to 5000 miles and have a beach area that can be turned into a toys area. Last but not least, there's the new fast displacement line, Mangusta GranSport, born as a technical and stylistic combination of the previous two. These are long range vessels with their best performance in displacement mode but capable, at the same time, to reach higher speeds, those typical of high performance yachts, whenever desired by the Owner. Next summer will mark a major achievement since models of all three product lines are scheduled for delivery: in addition to the 46m yacht from the displacement line and three Maxi Open, the first 54m flagship vessel of the new Fast Displacement Mangusta GranSport will be launched. Boot in Düsseldorf was the official start of the cooperation and Mangusta will participate with a stand in Halle 6, in the maxi yacht area. After a few days of entering Mondomarine, historic shipyard in Savona, Palumbo Superyacht Refit is pleased to announce that the first boat - a yacht of 55 meters - is already in the pipeline for refitting and maintenance. 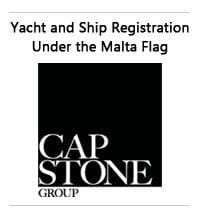 After the recent acquisition of ISA Yachts shipyard in Ancona, in a short time become one of the main production sites of the Group and superyachts now in full swing, entry into Mondomarine Palumbo shipyard represents an important new step in the strategic development plan its network of sites in the Mediterranean and, of course, the division dedicated to the construction and refit of superyachts. Palumbo Superyachts Division, with the brands Columbus Yachts, Isa Yachts and Palumbo Supeyachts Refit, geared respectively to the creation of custom and semi-custom yachts and refit activities and after sales of large pleasure craft is a growing reality that draws strength from 50 years of the Group's experience in the naval sector refit, passion, and its financial strength. Princess Yachts is delighted to confirm that it is working with BAR Technologies as an official partner to create a revolutionary new yacht that will be launched later this year. BAR Technologies was formed to exploit the wealth of design knowledge, technical skills and resources built up through Land Rover BAR's (Ben Ainslie Racing) involvement in the America's Cup. The new boat - spotted covered in vibrant camouflage at the BAR testing facilities early last week - will establish a whole new class of yacht. The mid-30ft craft will bring speed, efficiency and new technology while remaining true to Princess' core with high quality materials, comfort, seakeeping, craftsmanship and design that will stand the test of time. Antony Sheriff, Executive Chairman of Princess Yachts confirmed: "We pride ourselves on creating yachts of exceptional design and quality. Now, working together with BAR Technologies we are thrilled to be working on a brand-new fully carbon fibre yacht that will deliver an exhilarating experience through bold innovation and cutting-edge technology. While we cannot reveal more at this point we are confident this entirely new class of yacht, which is one of the most exciting and revolutionary products Princess has developed will become this year's most sought-after product." While specific information on the boat isn't yet available, it was spotted in Portsmouth in 'dazzle camouflage'  an eye-catching pattern designed to confuse the eye and disguise the yachts features. The bold camouflage seen in the spy photos of the development test boat was created by Katie Sheppard from the Plymouth College of Art, who was among 20 students on the BA Printed Textile Design and Surface Pattern course that competed to design a new version of Dazzle for Princess on this exciting project as part of their curriculum. Dazzle was originally conceived of by Norman Wilkinson for early 19th century Naval vessels, featuring a specific geometric pattern that confused rather than concealed. These original dazzle camouflaged Royal Naval vessels were created in Plymouth  at the very same site where Princess creates its award-winning luxury yachts today. Princess Yachts continue to go from strength to strength, announcing the best boot Düsseldorf on record following an incredible 2017, where the company recorded its most profitable year since 2013. The British manufacturer confirmed it sold an impressive 24 yachts during Europe's biggest boat show adding £30million to the its ¾ billion Euro order book. According to Messe Düsseldorf, the show welcomed 247,000 visitors across the week to explore the 1,923 exhibitors from 68 countries. The luxury yacht hall, where the fantastic Princess 10 yacht line-up was situated, was more popular than ever before, with the award-winning Princess 35M  one of the largest yachts ever displayed at boot Düsseldorf - the star attraction. Princess Yachts were also delighted to celebrate the global launch of the all-new S78 featuring the new Naim Audio partnership sound system and bring to life the return to V Class with the all-new V65 and V50, as well as show debuts for the S60, Princess 55 and Princess 62. 'Boot Düsseldorf has provided an exceptional start to the year for Princess as we sold over 10% of our annual turnover within just one week of the show." says Antony Sheriff, Executive Chairman "The stand has been a constant hive of activity with potential customers and brand fans. 2018 marks an opportunity for Princess to continue to build on the success of 2017 in both turnover and profits. Princess will continue in its £100M investment in new products and facilities with the launch of six new yachts this year - one every two months'." Princess Yachts Italia, with a headquarters in San Remo, will represent Princess Yachts as the sole Distributor for the region. The team operating Princess Yachts Italia is Marine Group, owned and operated by the highly respected Cesana family. "We are delighted to announce our new partnership with Princess Yachts Italia, a family owned and operated business with over 40 years success servicing the requirements of luxury yacht owners. We are convinced that the vast experience and enthusiasm of the team in San Remo, combined with our expanding range of exciting new craft will provide exceptional experiences for both our current and future Italian clients. ", Ed Striebig, Head of Network Development. Lord Howe Island is a destination on the radar of many motor yachting enthusiasts. Yet most see it is a stretch too far. About 350 nautical miles off the east coast of Australia, it is well within the range of Riviera motor yachts, but there is no safe harbour in between. Yet it is a wondrous place, with a coral lagoon teeming with colourful fish, towering mountains, extraordinary bird life and an environment certain to put a smile of the face of every visitor. In 2015 Andrew Luxton completed an epic voyage around Australia aboard his Riviera 51 Enclosed Flybridge, Prime Mover. Now Andrew has undertaken a new voyage inspired by his father. Andrew acknowledges his circumnavigation was also inspired by the stories of Ian Reynolds' voyage around Australia in 2008 - at the age of 79. Ian took his Riviera 56 Enclosed Flybridge, Investigator IV, on a shakedown cruise to Lord Howe Island before the circumnavigation and Andrew was determined to make the voyage himself. His father, too, sailed to the island many years ago. Andrew planned to take his Riviera to the Whitsunday islands in autumn and decided to turn east and take the voyage to Lord Howe on the way north. On this voyage, Andrew travelled in convoy with friend and fellow Riviera 51 owner Mark Slocombe aboard his own Riviera 51 Enclosed Flybridge, Legend III. Andrew and Mark met about eight years ago through their mutual love of motor yachts and Mark shared some of the legs of Andrew's circumnavigation. Travelling with friends and family on the voyage north, the pair made a stop at R Marine Pittwater in northern Sydney for a couple of weeks and then on to Port Stephens on the New South Wales mid north coast to prepare for the leg to Lord Howe. Andrew and Mark chose a weather window carefully and were rewarded with two to three metres swells and a following sea. After a comfortable 37 hours at sea, Andrew and Mark and their crews entered the Lord Howe lagoon, picked up moorings and awaited the arrival of their wives, Jayne Luxton and Janine Slocombe and friends who flew to the island. Prime Mover and Legend III also took their crews to Elizabeth and Middleton reefs. At Elizabeth Reef they set about an informal fishing competition with a trophy awarded to the winning team. After three weeks exploring the island and reefs, Prime Mover and Legend III were refueled and the crews turned westward toward the mainland again, returning to Pittwater. Sunseeker International has won the accolade for ‘Best Flybridge over 60ft’ at the 2018 Motor Boat Awards. The award was given to Sunseeker for its Manhattan 66, which was launched in January 2017 and has already seen over 60 boats sold. 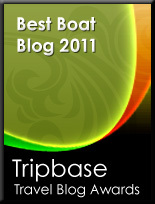 Since it was launched at London Boat Show last year it has had an outstanding reception from customers and media alike. 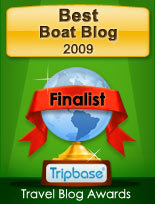 The judging panel made the following comments on presenting the award: “Three excellent boats and very little to separate them, but the winner’s versatility and plethora of layout options separates it from the pack. Proven sales success confirms that with this model the designers have hit the spot.” On accepting the award, Sean Robertson, Sales Director at Sunseeker International said: “The Manhattan 66 is one of our top selling models since its launch at London Boat Show last year. We are thrilled to have won this award and it underlines our ability to keep giving our customers the best in class across every segment we operate in.” Sunseeker’s success at the awards was preceded by the announcement that it is an official FIFA Partner for the upcoming World Cup tournament in Russia. Footballing legend, Sir Geoff Hurst, and BT Sport’s Jake Humphrey joined Sunseeker at The London Boat Show yesterday to announce the partnership which is the brand’s largest and most prestigious marketing initiative to-date. Guests at the show were treated to a further surprise when Sir Geoff Hurst also revealed the replica Jules Rimet Trophy. The partnership will see Sunseeker to have major marketing and branding rights, the likes of which have never been witnessed in the marine industry before, and will afford Sunseeker clients access to some truly rare ‘once in a lifetime’ experiences. Sunseeker International was delighted to display the replica Jules Rimet Trophy at the stand at London Boat Show on 10th January. The Jules Rimet Trophy was the first FIFA World Cup trophy and the one won by the England football team in 1966. As the original was stolen in Brazil in 1983 and never recovered, this is the official replica kindly loaned to Sunseeker by the FIFA World Football Museum in Zurich along with an original 1966 England jersey worn by Roger Hunt during England’s triumphant campaign. These wonderful artifacts where joined by legend Sir Geoff Hurst, best known for scoring the goals that helped to secure victory for England in the FIFA World Cup in 1966, who opened the Sunseeker stand at the show. Sir Geoff secured his unique place in sporting history when he became the first and only player to score a hat-trick in a World Cup final, a record that has stood for over fifty years. Jake Humphrey, an experienced and knowledgeable TV and radio broadcaster, was Sunseeker’s official compere for the event. Jake is currently the face of Premier League Football on BT Sport and has been at the forefront of much of BBC Sport’s coverage for many national and international events. The Jules Rimet trophy was displayed on 10th January on stand LE229 from midday. The full display for the London Boat Show 2018 included two show debuts, the 76 Yacht and the Predator 57 MKII. The 76 Yacht will also be the largest model displayed at the Show, and appeared alongside a stunning collection of luxury yachts starting from 52 feet. Sunseeker International has been made aware of a press statement issued by the charity EIA (European Investigation Agency) which suggests Sunseeker is using teak in its boat production which is known to be in breach of the European Union Timber Regulation (EUTR). Sunseeker International is not aware of any breach of the EUTR nor is regulated by them. Sunseeker has not received a notice from any recognised enforcement authority of a breach of the EUTR within the company’s direct or indirect supply chain, relating to the procurement of teak or any other products. Sunseeker is a socially responsible manufacturer and committed to ethical business practice. We regularly undertake supply audits of our teak supply chain to ensure it is responsibly sourced and would never knowingly use teak which is not. In light of the EIA report however, Sunseeker will further investigate the procurement of its teak through the Department for Business, Energy & Industrial Strategy to obtain the facts, and it will make appropriate action, if required to do so. Tag Team, a Viking 55, claimed the 3rd place spot on the leaderboard at the first leg of the Los Suenos Signature Triple Crown series. Captain Victor Julio Lopez Pizarro led his anglers to a total of 11 sailfish and six marlin releases to seal the deal. Costa Rica is where we'll be watching the fishing action over the next two months as there are plenty of Vikings fishing this series like the 92 Fa La Me, 72 Team Galati, 46 Dealers Choice, 55 Real Screamer and 55 Hooray as well as D.A. Sea, Goose,Marlin Darlin, War Party, Mjolnir and HT Hook. Billed as "Costa Rica's funniest big game fishing event," the 2nd Annual Pelagic Rockstar! Offshore Tournament pulled 45 boats into Marina Pez Vela to battle it out for over $200,000 in cash and prizes. The Viking 55 Tag Team hooked up with 14 fish for 3rd Place Overall. Anglers John Sercu, Emilio Munquel, Dan Lewis and Hector Moreno were on the rods for 10 pacific sailfish, two striped marlin and two dorado. Weasked if the tournament really holds up to the claim of "fish all day, party all night," and are still waiting on an answer! Dave Anderson's Viking 70 Krazy Salt's burst into the New Year with 14 sailfish releases at the 46th Annual Gold Cup despite some snotty seas. Captain Keith Greenberg led his team to some fishy water and a 2nd Place finish in the January 4-8 competition held off of Palm Beach, Florida. Angler Erik Waldin released five sails while Anthony Cummings and Dave Meyer each released four. Tom Craig released the final fish to seal their spot on the leaderboard. Captain Rhett Bailey at the helm of Alan Sadler's Viking 62 InTents put Michelle Keeney on three sailfish to claim 2nd Place Lady Angler. Frank and Mary Ellen Rodriguez's Viking 92 Enclosed Bridge Fa La Me has arrived in Costa Rica. Captain Rob Moore and crew left Palm Beach, Florida, on December 28 with their eyes set on the Billfish Capital of the World. With stops in the Bahamas, Jamaica and Panama, the team arrived at the Los Suenos Resort and Marina on January 6. On their run into the resort Rob decided to drop some lines in for fun and hooked up with a pair of Pacific sailfish in under an hour. We can't wait to see what this lively gang will be up to on this adventure! To follow along check out their Facebook page. In a cool time-lapse video Eddie Twyford took of the boat passing through the Panama Canal is just a hint of what you'll see on their page. And by the way, we heard last night's dinner of butter chicken over rice with Frank's folded burrito naan bread was off-the-charts delicious. Viking has a loyal following on social media but did you know its subsidiaries have engaging pages too? Palm Beach Towers and the Viking Yacht Service Center have fueled a large fan base with their colorful and dynamic images and Atlantic Marine Electronics is now active too. With accounts on Facebook, Instagram, and Twitter, AME will highlight their technology with beautiful images and behind-the-scenes shots. Link up with all of the Viking companies to get current information in a casual and interactive platform. Ferretti Yachts 670 project is the gift the renowned yacht builder is giving to itself, to celebrate 2018 the fifty anniversary year for the Italian Forli marquee. 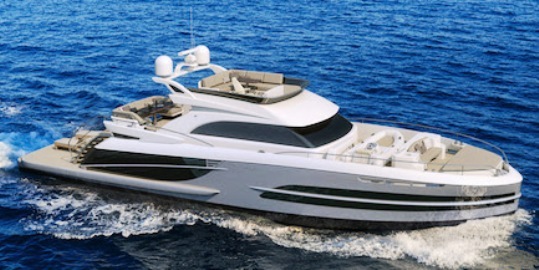 The Ferretti 670 project is the fruit of the partnership between the Ferretti Group Product Strategy Committee and the Engineering department. She is also the first Ferretti yacht with external design by Ferretti Group and architect Filippo Salvetti, while the interiors were created by the Group’s own architects and designers. 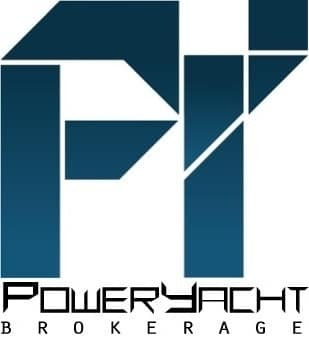 This breaks the pattern which started in 1990 with Giovanni Zuccon who since then designed all Ferretti Yacht models. 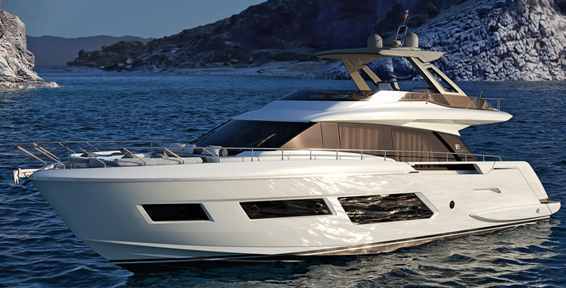 The Ferretti 670 entered production this month in January 2018 and is the natural heiress and replacement to the 650. A model of smart evolution, she combines some of the features from the 2016 and 2017 boats; 450, 780, 850 and 920 with some major innovations of her own. As a striking example, the excellent use of space, inside and out, assures the owner and their guests a perfect blend of conviviality and privacy. The Ferretti Yachts 670 features amenities typically found on larger vessels as you can see from the layout: the standard version offers three generous cabins on the lower deck. The 670 also offers option for a four double cabins version, and a choice for a laundry in replacement of the fourth cabin or the owners office. Contrary to the tradition of Ferretti especially in these sizes, the Ferretti 670 will have a modest standard engine set up with twin Man 1000hp giving 28 knots max speed. An alternative engine option will be for twin Man 1200hp which increase top speed plus four units meaning a top speed of 32 knots. It took about two years to complete Whitehaven Motor Yachts latest flagship the 7500 Sports Yacht from the signing of the contract. Hull one of the Whitehaven 7500 Sports Yacht was launched in Novemeber 2017, and was titled Finito, translated from Italian to Finished. The first 7500 Sports Yacht featured a three guest cabins interior layout, galley on the main deck and lower deck, twin Cat 1136hp engines, large ten thousand liter fuel tank, and zero speed fin stabilization. Burger's latetest launch is the 103 Northland triple deck super yacht, which features a modern exterior design and contemporary interior decor developed by the award winning designer Luiz de Basto of Miami, Florida USA. De Basto, working closely with the owner, created a stylish, ocean going, long range explorer yacht for cruising and fishing the world's hot spots. For the Northland 103 De Basto went with a four guest cabin layout including an owners stateroom on the top deck. Crew accommodation is for four persons. The Burger 103 Northland is powered by twin Caterpillar 475hp engines, which give a cruising range of approximately 4000 nautical miles at 9 knots. Northland is built to ABS classification, and is a welcome addition to the wide array of custom Burger yachts cruising the world's oceans. Another design from Rome designer Marco Casali for Canados, the conceptual idea of the 822 Gladiator took the yard technical office months of work, calculations and researches. The aim was to create a versatile super sport yacht. This 24 plus meter super sport yacht is available in four different engine packages allowing her to top, depending on the chosen power package, from 34 up to 60 knots while offering unparalleled comfort. The tender garage door has been designed and structurally calculated to offer a built-in lounge on the water. When on the aft deck, your guest will be blown away by the available space and social areas almost twice what the competition offers. The luxury feeling is strengthened by the total absence of visible deck hardware as cleats and winches are hidden in their own compartments. Even the Seabobs are hidden in side garages. The saloon glass door is divided in three panels. To port, the vertical panel slides down to transform the area into an outdoor bar while the two vertical panels slide to starboard. Like on every Canados build yacht, there is a suggested layout, but the end choice is yours as everything is custom built in-house. The standard offering for the main deck comes in two versions with either two side gigantic sofas or with two sofas on starboard and a dining area with loose seats. In both cases, the crew tasks will be conducted without interference with guests as access to the galley, crew quarters and engine room is hidden behind the bar. Further to the front, the helm station with its pantograph side door opens to the side deck while on the opposite, a dinette with a lounge seat have been integrated for the run-it-yourself kind of owners, so they can be at the helm while socializing with family and friends. One of the signature and uniqueness of the 822 Gladiator is the laminated glass windshield made of three panels. The central panel opens up allowing guests to access the fore-deck and its integrated sun pad and dinettes.With this feature, when at anchor, you can open up the windshield and enjoy a natural flow of breeze inside the main deck. Down below, the Gladiator 822 is available in various different layouts with three or four cabins. In both cases, the master suite enjoys an unseen before comfort with a full beam configuration. Marco Casali will design any specific interior layout and decoration, or the Canados design team can work with any interior designer of your choice. In any case, the Gladiator 822 interiors will be delivered according to your tastes and requirements. For the most family oriented owners, the boat will be powered by twin Man 1550hp or twin Man 1800hp coupled to V-Drive offering a cruising speed of 28 knots and 31 knots while the top speed will be 34 knots or an easy 38 knots. For those willing to travel fast, the twin 1900hp Man with Top Systems surface drives will allow to reach 38 knots cruising speed and 44 knots top. For the most speed addicted the Canados 822 Gladiator is also offered in a triple engine configuration with hull and deck entirely made of Kevlar/Aramat with carbon fiber reinforcements that will allow for a top speed flirting with the 60 knot mark. In February 2016, a Swedish Targa 44 owner told the Finnish company that he would be interested in a new slightly larger than the present largest boat model, and at least to start with, it had to be something that no-one else had. An agreement about a Targa 46 Custom in time for delivery in the spring 2017 was made. At that stage we didn’t know if this would be a one-off boat or a model that we later would offer also to other customers. The boat was produced during the autumn 2016 and was successfully delivered to the new owner in Vasa in June 2017. During the building stages of the Targa 46 Number one and during the season 2016-2017, there was a lot of interest in this boat. The decision was therefore soon made: to launch the new Targa 46 model as a new addition to the Botnia fleet! In short, the new Targa 46 can be described as an extended version of the popular 44. The Targa 46 hull is 75 cm longer than the Targa 44 hull, giving the boat a total length of over fifteen meters and a hull length just short of fourteen meters. In order to be able to customize the boat for the customers specific needs, the Targa 46 is offered with three different pilothouse lengths: standard 44 model pilothouse, T44 plus 40 cm pilothouse, and T44 plus 75 cm pilothouse as the picture above shows. This gives the customer the possibility to choose between a really large aft deck, or a really large pilothouse or a proportional compromise between aft deck and pilothouse as in the 40 cm version. The relaunch at Uniesse continues and here the Italian build American owned builder presents its second new project, which is a re-edition for one of its most popular models from the end nineties up until 2010. The 50 Exuma is in-fact a new model based for most of its parts on the successful and widely admired 48 Open model which gave Uniesse so much success in its production period. The 50 Exuma will sport a new hard top, new side window serving the whole cabin area, and an IPS pod propulsion. The Uniesse 50 Exuma will feature an interior with two cabins, two heads, a galley and an L-shaped dinette. It is interesting to note that although the 50 Exuma will be powered by IPS pod drives the engines will still be located centrally in order to offer the correct center of gravity. The new Huckins 44 Sportfisherman dovetails classic styling with the most modern materials and technology. Here, we’ve drawn upon 75 plus years of custom yacht-building experience to achieve superior style and comfort without compromising the serious amenities that blue-water fishing requires. Huckin has this style available in lengths from 44 to 90 feet, the 44 Sportfisherman features a sleek, low-profile flybridge under a half-tower, with panoramic views from the helm maximizing the captain’s ability to spot birds, bait and weed-lines. Like all Huckins custom yachts, the Sportfisherman is underpinned with the Quadraconic hull renowned for its ability to overcome rough seas, and high fuel prices while delivering outstanding performance and a smooth, dry ride. 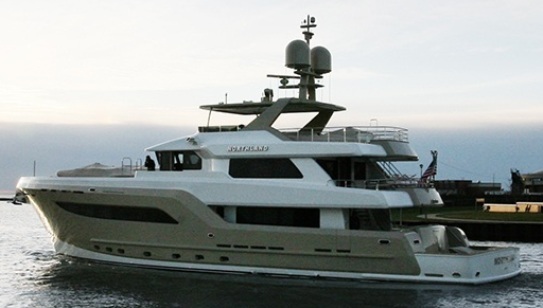 Wim Van der Valk Shipyard in the Netherlands has started construction on a new 660 Beachclub Flybridge model. A 20.50 meter motor yacht in its revolutionary BeachClub range, this new model is all about an ingenious engine room layout, which give this superb series the unnecessary conflict between indoor and outdoor space which has traditionally been the hallmark of yachts in this size range. The first Van der Valk 600 Beachclub, model will already be delivered in Spring 2018. The new BeachClub line is a fine illustration of the intrepid spirit and dedication to excellence that have propelled the yard to the position it occupies today. A labour by Wim Van der Valk and its partners, the series ranges from nineteen to thirty meters incorporates interior and exterior design by Cor D. Rover and outstanding naval architecture by Ginton Naval Architects. The secret to the success of the Wim Van Der Valk Beachclub for which a patent is now pending, is in the clever location of the engine room. By using the integrated Volvo Penta IPS propulsion system, the engine room is literally placed within the swimming platform, creating a tremendous amount of uninterrupted space on the lower deck. The outdoor areas on the BeachClub 660 Flybridge will consist of three major spaces: a beach deck with sun lounge measuring seventeen squared meters, an aft deck of equal size with possibility for an outside helm, and a huge 25 squared meters fore-deck with a range of layout options. Indoors, the yacht will boast a 21 squared meters main deck salon with wheelhouse and all-round panoramic views, a 27 squared meters lower deck salon with galley and dinette, and a whopping 44 squared meters floor space for the accommodations. In addition to the luxurious owners suite, the BeachClub 660 Flybridge will feature two twin guest cabins and an optional crew cabin. Built entirely in aluminium, a modern, sporty look with a moderate-V hard-chine hull will offer an elegant and graceful profile. Twin Volvo 800hp engines with IPS type pod propulsion it will provide an estimated top speed of 24 knots. To ensure stunning views from as many places as possible on board, the yacht will have oversized glass surfaces and large sliding doors in the two salons and the owners suite. The Wim Van Der Valk 660 Beachclub Flybridge is currently in production on specification, waiting for owner to modify it accordingly. 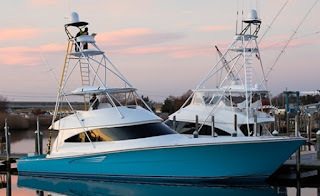 Carolina's Bayliss is one of the over a dozen builders building custom sportfish yachts, hailing on the East coast of the United States of America. Now John Bayliss coming from a good run up of orders presents a new virtual showroom, which takes you to his universe of made to measure custom Sportfish Yachts. John founded Bayliss Boatworks in April 2002, at the time coming from a career which started as a mate in 1975 at Hatteras Village, and pinnacles in 1997 when he became captain of Hatteras Yachts demo boat Hatterascal. Bayliss builds his yachts in cold molding, meaning wood and in this case with the jig construction method covered in the outer and inner skin by resin and glass. This system while time consuming, a construction takes from eighteen to 24 months, has the benefits of both renowned boat building methods and gives the wood flexibility added with the protection of a fiberglass and resin skin. 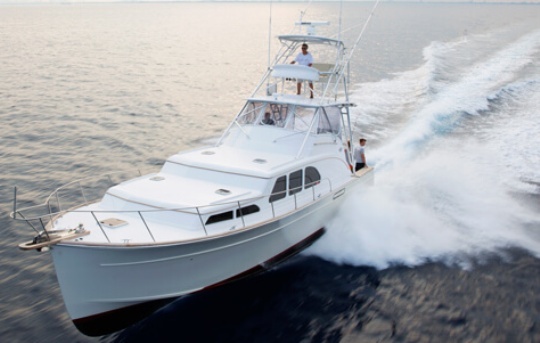 Bayliss builds about a boat and half a year, and has so far build over twenty sportfish yachts from 57 to 90 feet. Bayliss current construction schedule has at the moment five vessels in build from the Gameboat 62 to a 25 meter still in early stages. Bayliss Boatworks new online showroom takes you around with the following buttons: On The Water, In Production, Boatyard, Brokerage, About, Shop, Contact, and Careers. Bayliss is also on social media with links at the bottom of the page taking you to the Instagram, Facebook, Vimeo, and Twitter pages. Horizon Yachts is pleased to announce that the new FD87 Skyline a revolutionary enclosed bridge motoryacht based on the FD85 design has just completed her launch testing and has debuted this week at the 2018 Horizon Yachts Open House, in Taiwan. Horizon FD87 Skyline has been customized to suit her U.S. owners, from the interior layout and design to her numerous exterior entertaining areas. She features Horizon’s advanced hull form design, dubbed the High Performance Piercing Bow HPPB; this hull design allows for excellent sea keeping at both slow and high speeds and, when augmented by her stabilization system, affords a sublimely comfortable cruising experience. To ensure the performance and safety expected of all Horizon yachts, every build is subjected to a rigorous series of tests at the dry dock and in the test tank prior to sea trials. The leak test ensures the yacht is completely watertight by simulating conditions during a monsoon, using thousands of gallons of water to shower the yacht from various angles for over two hours. While in the dry dock, Horizon’s well-trained technicians will assess every detail of this latest build; these tests include checking all boat systems under both light and full loads as well as running the yacht’s engines, generators, and other mechanical equipment for several days at a time. Professional technicians from various departments will check the yacht’s mechanical, electrical, electronic and hydraulic systems, and the gear loading of the dinghy is tested while in dry dock to ensure stable and smooth operation. All of these tests are performed in advance of the sea trials that include speed circle turning, emergency stern propulsion, and full-power endurance tests; analysis of on-board frequency and harmonics; and the testing of all major equipment and fire-fighting systems. Horizon believe that a comprehensive testing process for each yacht build is critical to ensure consistency and quality, and are committed to delivering not only a beautiful luxury yacht, but the best cruising experience to every yacht owner. The Tankoa S533 Saetta is a 53 meter long model, with a maximum beam of just over nine meters that further enriches the Italian yard’s line of planing yachts and also includes the 58 Open launched last year. Designed by Francesco Paszkowski the S533 Saetta’s streamlined and aggressive lines stand out, characterized by their widespread use of glass surfaces, giving the owner and his guests the possibility to fully live the surrounding environment with nothing that interrupts their direct contact with the sea. This is also the characterization of the exterior spaces that stand out for their essential and livable characteristics. The three MTU 2600hp with twin Kamewa water jets give her a top speed of 28 knots and a cruising speed of 24. At cruising speed the Tankoa S533 Saetta’s range is 600 miles; this doubles to 1,200 miles at a cruising speed of 17 knots. 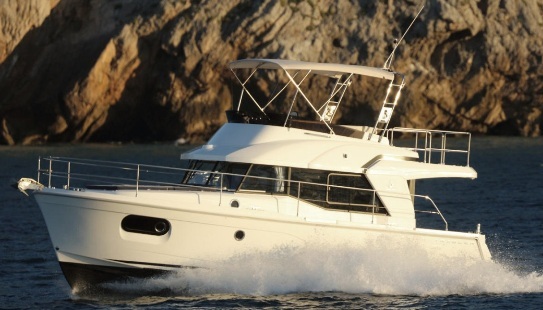 After eight years and 411 units sold Beneteau replaces the 34 Swift Trawler with the new 35. A big challenge awaits the Beneteau 35 Swift Trawler which the new model responds with strong harmonious lines, and quality in the design and fit out choices. Built on a semi-planing hull developed through the expertise of Beneteau Power, the Swift Trawler 35 is powered by a single Cummins 425 hp engine. The Swift Trawler 35's flybridge has a comfortable living space; C-shaped dinette to port side and helm station to starboard,while the aft area is a free zone idle for sunbathing or stowing soft water sports items. When used for long cruises the flybridge can also be protected with a bimini. A spacious interior with ingenious contemporary fittings offers an owners cabin with en-suite shower room forward and a second cabin with bunk berths to port side below deck. While the main deck with the exception of the helm station is fully dedicated to the living and galley area, with the sofa-lounge in the saloon converting to a comfortable double berth for addition plus two sleeping bed. Having had a good success with the Gagliotta 35 Lobster, the Italian Neapolitan boat builder aims to expand its range of traditional Down East lobster boat inspired cruiser and after the 48 project follow this with that for a 42. The Gagliotta 42 Lobster presents itself with a single level main deck living area offering a dinette and galley under the hard top, and relaxing seating further aft of the deck. The lower area is fully reserved for night accommodation with two spacious cabins; an owners double forward and a twin berth cabin to port side, and two shower heads. Engines are not yet announced but the design book of the Gagliotta 42 Lobster does show it to feature pod drives type propulsion. Ready to prove once again that Viking is the world leader in sportfish boatbuilding, the new 68 Convertible has emerged at the New Gretna, New Jersey, manufacturing plant in early December, revealing her splendid Shimmering Blue hull. 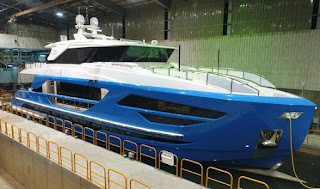 The four cabin sportfish yacht was put to the make-ready dock where she is currently being prepared doing her sea trials. The first 68 Convertible is powered with twin optional 1945hp MTU engines expected to deliver 35 knots cruise and 40 knots of max speed. Sessa continues its process to renovate its most successful models and after an updated C38, the Italian boat builder turns its attention to the C44. This new renovation process involving 2018 models will show the C44 with new large hull side windows. The C44 is one of Sessa most successful models thanks to its spacious twin cabin interior with large midships owners cabin. The Sessa C44 is also available with two layout choices for the main deck; a traditional Mediterranean sunpad, and or a twin dinette version. The Sessa C44 is powered by twin Volvo 435hp diesel engines with IPS pod propulsion which allow for a top speed up to 38 knots. Burger presents its new World wide web virtual showroom. The current Burger company was founded in 1892 with roots of the company being founded in 1863 when Henry Branburger started building twenty to thirty feet Mackinaw fishing boats on Lake Michighan in Milwaukee following his boat building apprentice which started with Wolf and Davidshon shipyard six years earlier. ﻿The company flourished in its past, building a lot of wooden vessel during first World War for the US navy, and in 1938 building the first all welded steel 81 feet schooner. On records and up till today Burger built eighty four navy and military vessels. Burger entered the pleasure market in 1920, but a hit vessel was the still sailing 1940 build 65 Cruiser named Pilgrim, the first flush deck yacht. In 1952 Burger brought another innovation building the first aluminium boat what was a 36 feet cruise named Virgina. Following this in 1977 will see the launch of Akara II at 125 feet still as at today Americas larger ever alloy built yacht. Burger has build yachts designed by; Sparkman and Stephens, J.B. Hargrave, C.Raymond Hunt, Don O'Keefe, Donald L Blount, Cor D. Rover and Luiz de Basto. Currently Burger has two yachts in build; am alloy 49 Cruiser model and a 103 feet custom Luiz de Basto three deck super yacht. Burger new web site takes you around with the following buttons; About Burger, Custom Yachts, New Projects, The Burger Experience, Commercial, Contacts, Services, Newsroom, and Travel. Burger is also featured on social media on Linkedin, Twitter, Youtube, and Facebook pages. 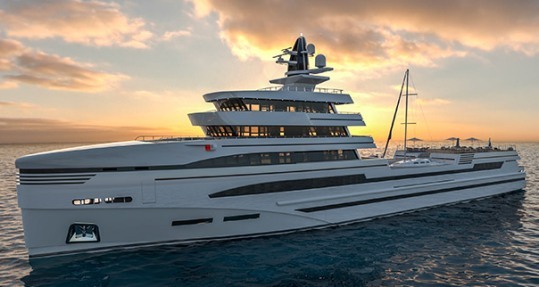 Founded in 1925 Rosetti Marino shipyard from Ravenna enters the super yacht sector with this innovative super yacht project for a new 85m Supply Vessel designed by Tommaso Spadolini. Following recent trends of expedition inspired super yachts, this 85m Supply Vessel inspired by the Italian Spadolini presents a super yacht with five decks, a displacement of 2200 gross tons, and two different versions which cater for helipad at midships or aft. If you intend to carry large tenders as a big sailing boat, a helipad to aft is suggested in order to make landing operations easier. The five deck interior layout plan of the Rosetti 85m Supply Vessel is divided into this arrangement; a lower deck with galley, crew lobby, and twelve berth crew accommodation; a main deck with guest accommodation of four double cabins; an owners deck which will feature an open-plan suite forward, his and her bathrooms, walk-in wardrobe, and aft dining room. The upper deck forward is also dedicated to the owner’s use with a private lounge, study and access to the open fore-deck with pool and another salon aft serves as a media room or a sky lounge. The Rosetti 85m Supply Vessel is to be powered by a quadruple MTU diesel electrical set up which totals 11479hp with speeds being estimated to deliver a maximum of 20 knots and a cruise of 15 knots. Designed by Rome based Marco Casali and born as project 777 in early 2016 and then evolving into the Canados 808 Maximus before its launch, the new super yacht impresses for a lot of innovative features and clever intuitive thinking. Marco Casali instructions where pretty clear that the new Canados 808 Maximus had to retain the modern-classic DNA of the seventy plus years old Cantieri Navali di Ostia shipyard while introducing new solutions to offer all the amenities and usage plan of a thirty meter super yacht in 24. In short, Casali was requested to incorporate all the amenities and comfort usually found on-board much larger yachts over 24 meters in length. Yachts of this size are only available in four cabin versions. Their layout always calls for a lower deck master cabin at midships, to the vicinity of the engine room and a noisier environment. The Canados 808 Maximus changes all this, offering a main deck owner suite, far from the engine room, while its full beam lower deck VIP suite offers volume to that of the best master stateroom found in competitive sized yachts, thanks to a six meter plus of beam. Where the 808 Maximus is even more unique is in the fact she is also available in a five cabin version, making it the only yacht in this size offering such capacity. A bonus factor for those who want there yacht to operate for charter. The first Canados 808 Maximus launched is powered by twin Man 1900hp offering a cruising speed of 25 knots and a 30 knots maximum.